Hello dear rose friends as we countdown the last few days till Christmas and we end this year of ramblings with you by sending our love and best wishes to you and yours. If you need a last-minute gift rose, we’ll be open until 4.00pm SUNDAY, 23 RD DECEMBER. We’ll be OPEN again at SILKIES ROSE FARM, CLONBINANE from FRIDAY, 11 TH JANUARYwith normal trading hours: FRIDAY, SATURDAY, SUNDAY and MONDAY from 9.00am till 4.00pm – any other times strictly by appointment only. 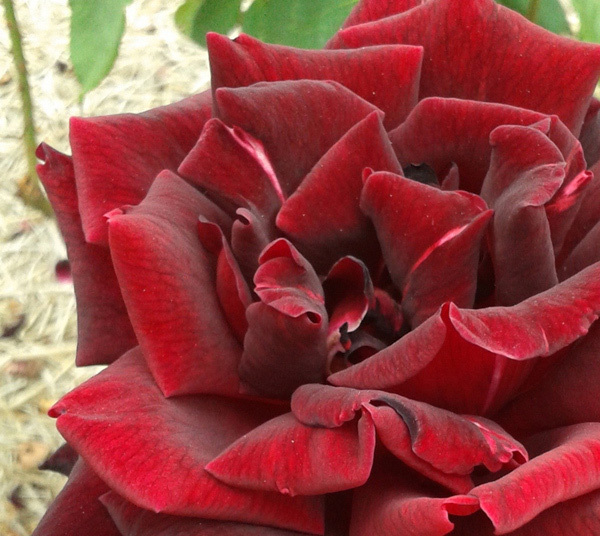 During the holiday period you might trawl the internet creating wish-lists of roses you cannot live without so www.rosesalesonline.com.au is open 24/7 to keep you entertained with lots of beautiful rose pictures and descriptions. 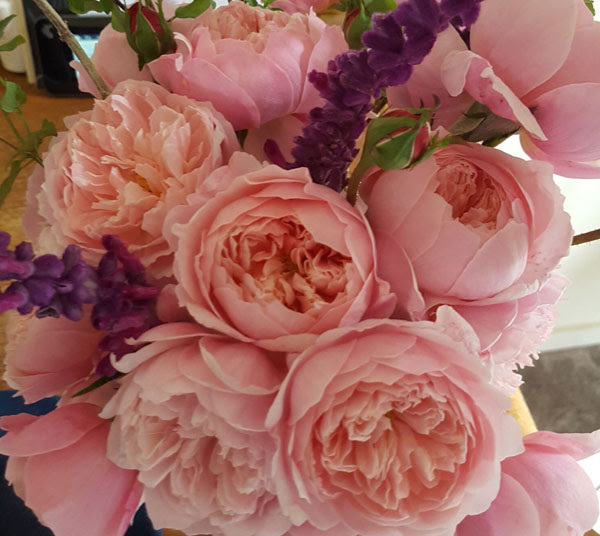 You can, of course, order roses which will be posted when Australia Post are guaranteed to be fully functional after the crazy Christmas rush. 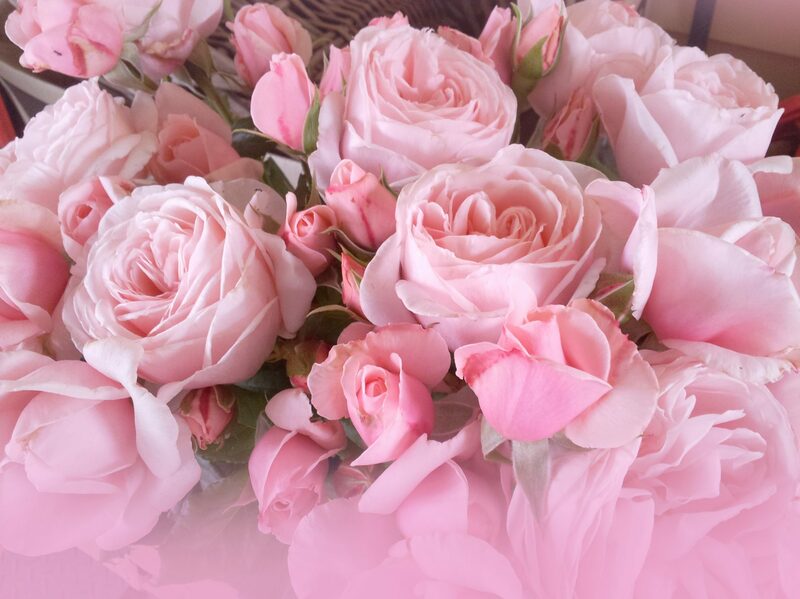 ON MONDAY, 14TH JANUARY, 2019 THE FIRST POTTED/FLOWERING AND GIFT ROSES WILL BE POSTED. 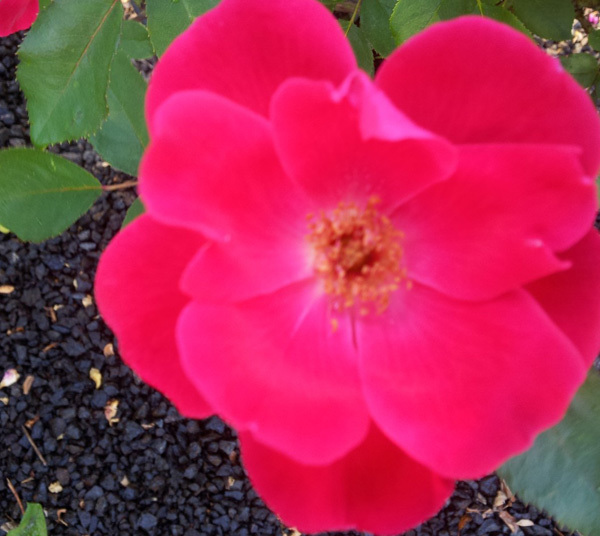 all the KNOCKOUT roses are 100% high-health and can be maintained by machine-pruning using a chain-saw or hedge-trimmer two or three times a year for a dense, impenetrable hedge of continual flowers – KNOCKOUT, BLUSHING KNOCKOUT, PINK KNOCKOUT, DOUBLE KNOCKOUT and SUNNY KNOCKOUT are all very highly recommended! Q. How do you make a fruit punch? A. Give it boxing lessons. Is a climbing rose which, using minimal support of perhaps steel mesh secured to star posts every 2.5 – 3 metres spacing and with initial horizontal training of the stems, a very dense hedge with amazingly healthy foliage and masses of apricot/salmon blooms continually throughout a very long flowering season is guaranteed! 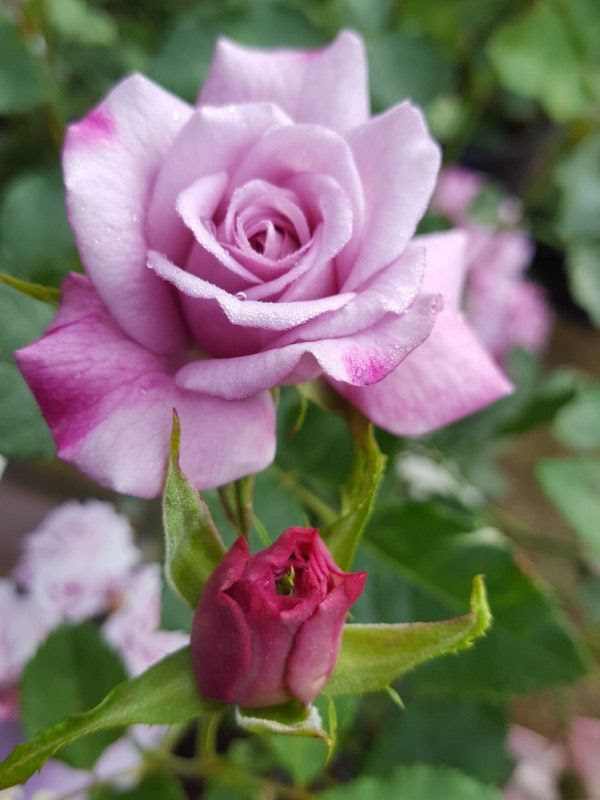 One of the most unusual and extremely beneficial attributes of this fabulous rose is that it holds lovely, fresh, healthy foliage throughout even the coldest of winters – remember, there will always be lots and lots of flowers when a rose has lots and lots of beautiful healthy foliage! Q. Which of Santa’s reindeer has bad manners? A. Rude-olph! 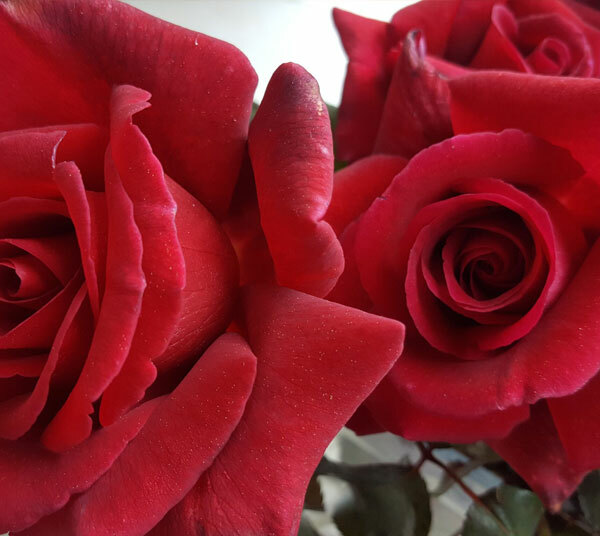 Dose each rose with liquid seaweed which ensures 3-5 degrees greater heat tolerance! May 2019 be a lovely year with good health and happiness and may your garden thrive and offer you a special place to uplift your spirit, energise your soul and be your health guardian! Thank you most sincerely for your continued loyal support of our business! Hello dear rose friends as we pack the last roses for posting to you for this Christmas … yes, TOMORROW, FRIDAY, 14TH DECEMBER will be the last opportunity to purchase roses in our online store: www.rosesalesonline.com.au for Christmas gifting. we are happy to host a group on days other than our designated open days but YOU MUST BOOK AN APPOINTMENT! Q. What did the fishing pole say to the fish? A. Catch you later! 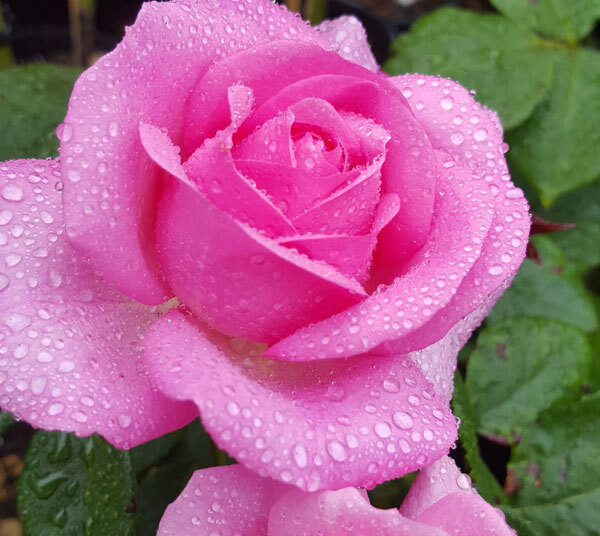 With more drenching rain on the way today, it would be most opportune to spray your roses with the organic rose management program at any opportunity after the foliage is dry – please don’t wait until it’s very hot again! 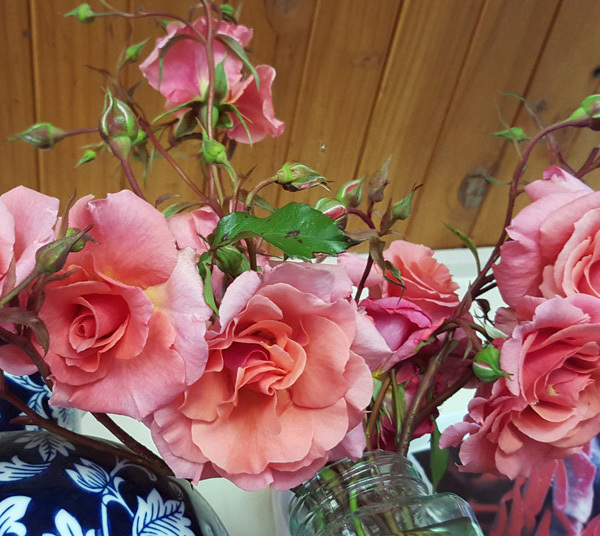 Because the spray liquid is a dirty colour due to seaweed solution, I find myself avoiding spraying the rose flowers and it has made a significant difference – we used to go around after spraying to trim the affected rose blooms. It is really quite easy to have a good cover of spray without spraying the flowers – if you think about it, good foliage cover is the principle aim of the program! REMEMBER NOT TO USE THE ECO SPRAY PROGRAM WHEN THE WEATHER IS FORECAST TO BE MORE THAN 30 DEGREES AND ALWAYS SPRAY BEFORE 10.00AM. Q. Why are kindergarten teachers so good? A. They can make little things count. So, can you spray in the evening after a hot day? Well yes, you can, however, during hot weather the plant shuts down which means that the stomata (likes pores in our skin) close to protect the hydration of the plant. 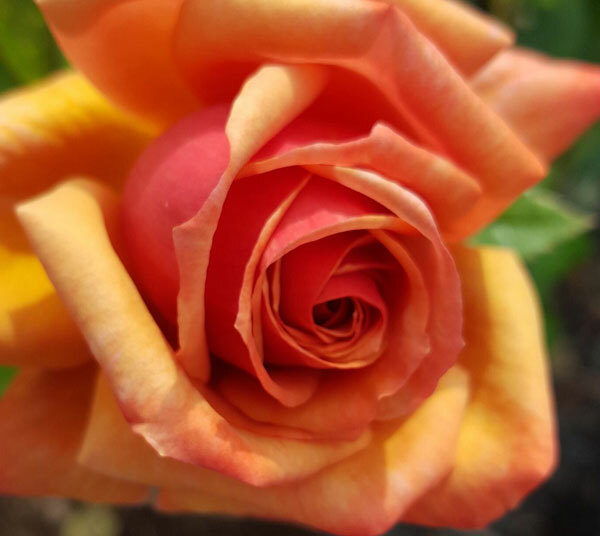 Since we are spraying the foliage and we cannot see whether the stomata is open or not, we suggest that your rose spray program be done first thing in the morning before 10.00am to ensure maximum benefit to the roses. Mix all the products together and stir well. You can add Eco-aminogro (fish based fertilizer or say, Charlie Carp or some other product) which will act as a foliage fertilizer. This spray program is suitable for most plants and should DEFINITELY BE USED IN YOUR ORCHARD AND IN THE VEGETABLE GARDEN! You can spray edibles in the morning and harvest them to eat for dinner! Anna Frank quote from her diary written during the invasion of Holland in World War 2 and very much necessary for us to remember every day in these last days of another year – be happy and positive while the roses bloom so delightfully! BUY ONE, GET ONE FREE … last day of posting TODAY! 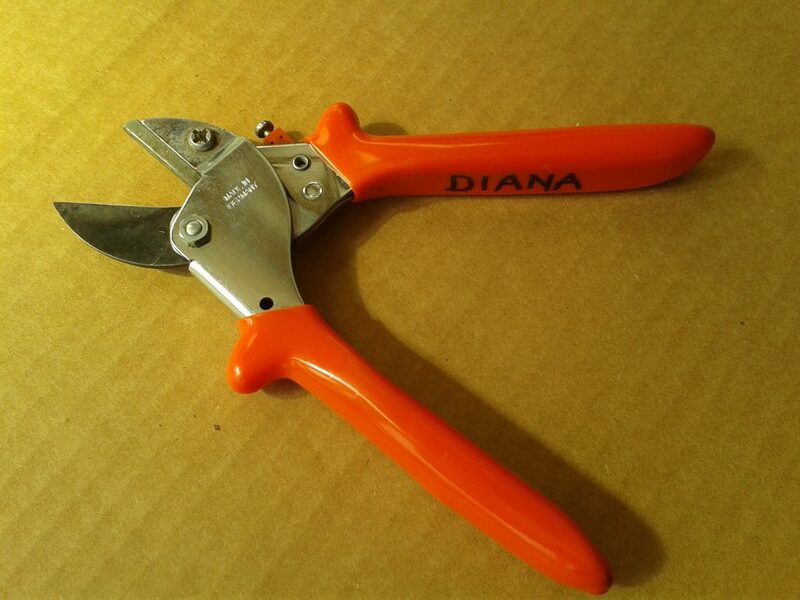 When only the very best, most practical, easiest to handle and super economically priced secateurs are needed for the rose gardener you want to impress. SPECIAL CHRISTMAS PRICE: $62.50 FREE POSTED to you TODAY! 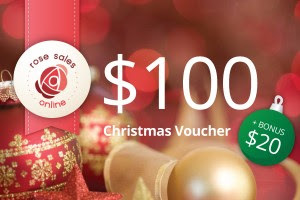 Spend $100 on a GIFT VOUCHER for the rose gardener in your life and we’ll add $20.00* when voucher is redeemed before July, 2019.